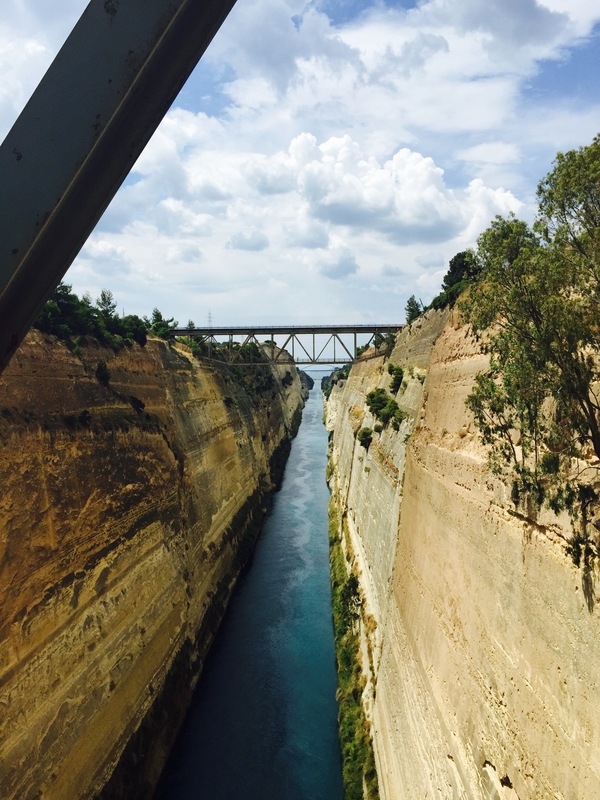 Alexa Briggs, a junior at Indiana University, has jumped out of her comfort zone in Greece–literally! There is something so empowering about leaving your fears behind and literally taking a leap out of your past and into your future. That moment when you’re just hanging upside down in the Corinth Canal is indescribable. You let everything go and look at the beauty of the world with an open mind. It’s still so surreal to me. It took a free fall into the unknown to remind me to take a step back and just take everything in. For me, coming on this trip was a lot like bungee jumping. I didn’t have any friends coming, and I had no clue what to expect. I think it’s that unwavering courage, that leap of faith, that shapes and defines the person that we are. I’ve learned so much about myself within the past six days and have formed amazing friendships that I know will last a lifetime. It just takes that one leap of faith, or in my case two, to change your perspective and open your eyes to all of the beauty surrounding you.